When I heard Bonefish Grill was coming to Arlington last year, I was pretty excited. I'm not the biggest fan of chain restaurants, but a few are on my list of treats and this is one of them. Last year my sister and I took my mom there for her birthday after getting pedis, and we got two orders of Bang Bang Shrimp -- tha best. appetizer. everrrrrrrr. 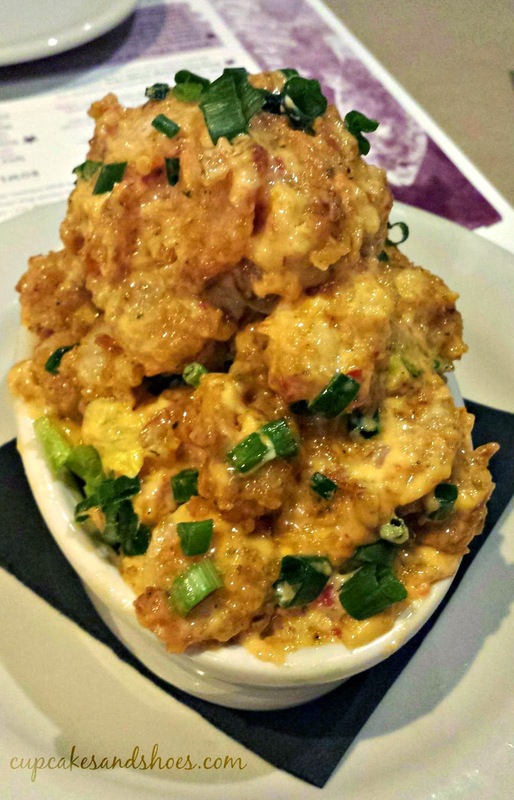 Bonefish asked me to try out their Winter Tales menu, so I decided to ask my friend L to come along since she just had a birthday, and everyone should have Bang Bang Shrimp on for their birthday. It's crunchy and spicy and covered in this cream sauce that can make two girlfriends who haven't caught up in a while shut up real fast. 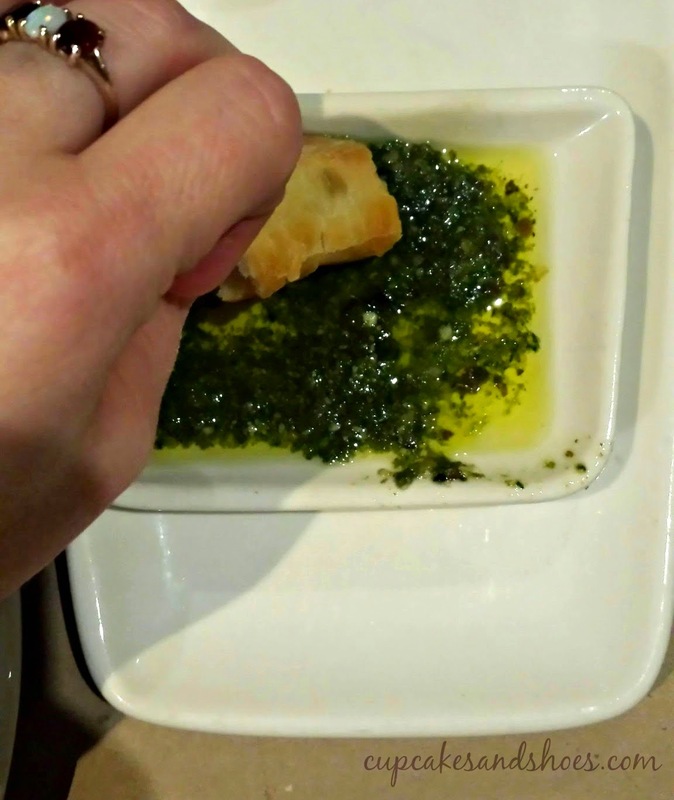 Their bread is also notable, as it comes with a pesto dipping sauce that is real hard not to fill up on before you get your meal. After L showed me some things she bout at Sur La Table before dinner, we finally checked out the menu. 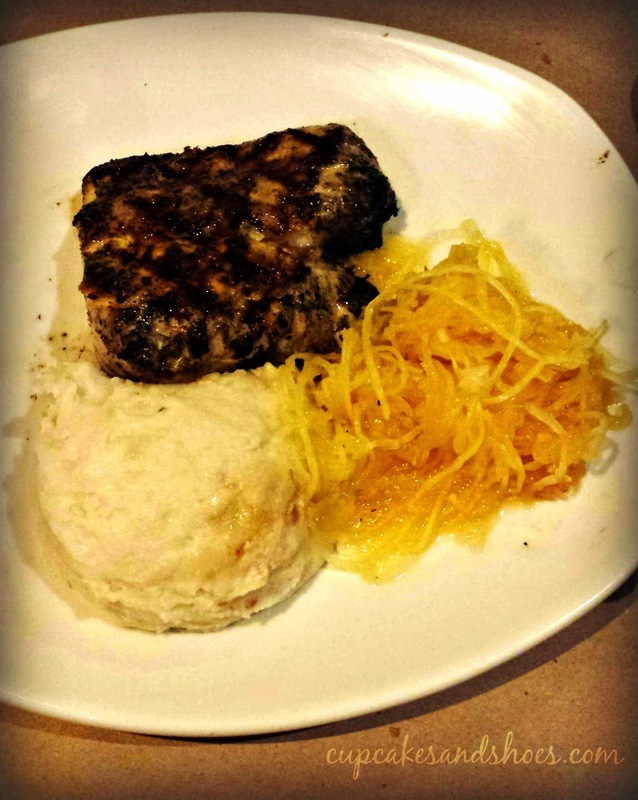 L is not a lobster fan, so she ordered grilled mahi mahi with spaghetti squash. I didn't even glance at the main dinner menu. 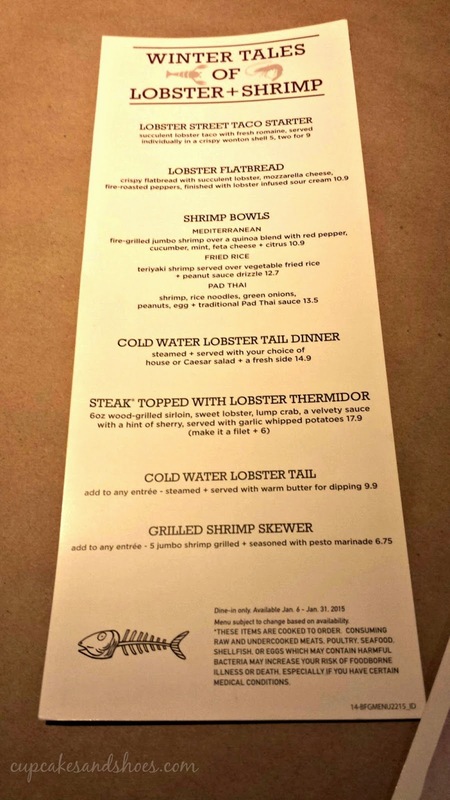 The Winter Tales menu, which is available till the end of January, has lots of lobster and shrimp specials, and it's the most inexpensive lobster you're going to find in town! I decided to do a little surf 'n' turf and got the Steak Topped with Lobster Thermidor. I had the option of a sirloin or filet for $6 extra, and that was a no-brainer for me. Filet is definitely my cut of steak, and that add-on still only brought my entree to $24!. I'd never heard of lobster thermidor, but it sounded fancy and tasted très deliciosos. It's creamy and has a bit of a zing to it--I'm guessing brandy? The filet was cooked perfectly, and I could only eat about half of it after the shrimp and bread at the beginning, so I got to enjoy it all again for lunch the next day! If you're a lobstah fan, I highly recommend getting to Bonefish this month before the Winter Tales menu offerings are over! 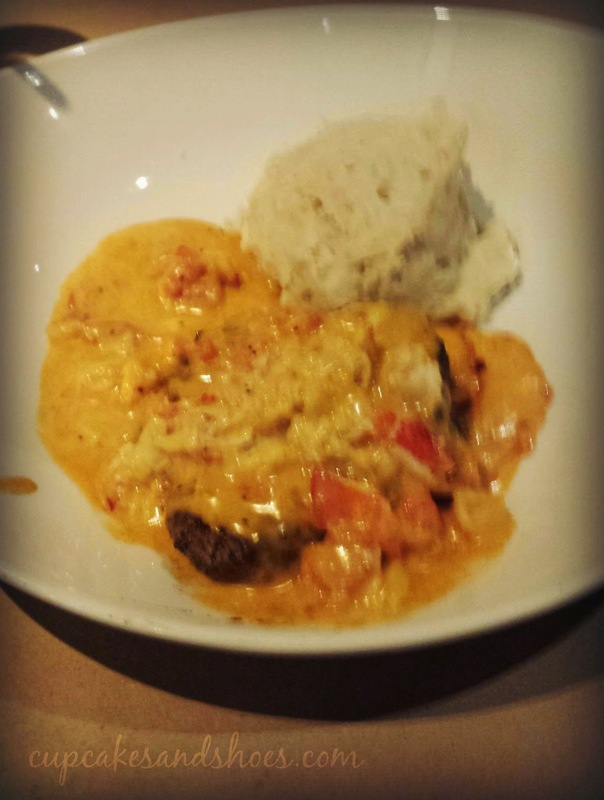 "Steak Topped with Lobster Thermidor" - sounds like a little bit of Heaven there. I share your feelings on chains, but every once in a while, you just need a bloomin' onion.